Home › AllOTSEGO | Editorial › Can Open-Minded People Create ‘Center Of Energy Excellence’? Can Open-Minded People Create ‘Center Of Energy Excellence’? The angel in this piece is Barbara Ann Heegan, Otsego Chamber of Commerce president, who this week announced the chamber is planning an Energy Infrastructure Summit Thursday, Jan. 31, at The Otesaga. “By bringing other stakeholders to the table, we can help inform our membership on the best path forward on meeting our energy needs and the needs of economic development,” Heegan said in an interview. Of course, the intent is right on, and businesspeople – with an eye on costs and profitability, as well as the good of the planet – are in many ways as good environmentalists as anyone else. Take Jim Doig, Sidney Federal Credit Union’s recently retired president. Heegan toured the bank’s new headquarters a couple of years ago, and saw energy consciousness everywhere: geothermal heating, solar panels – even rainwater captured to flush toilets. “That’s one example of how a business, a bank, has really taken advantage of clean, renewable energy,” said Heegan. The chamber formed an Energy Committee last January, chaired by Country Club Auto’s Peter Armao, and its members suggested the summit idea. 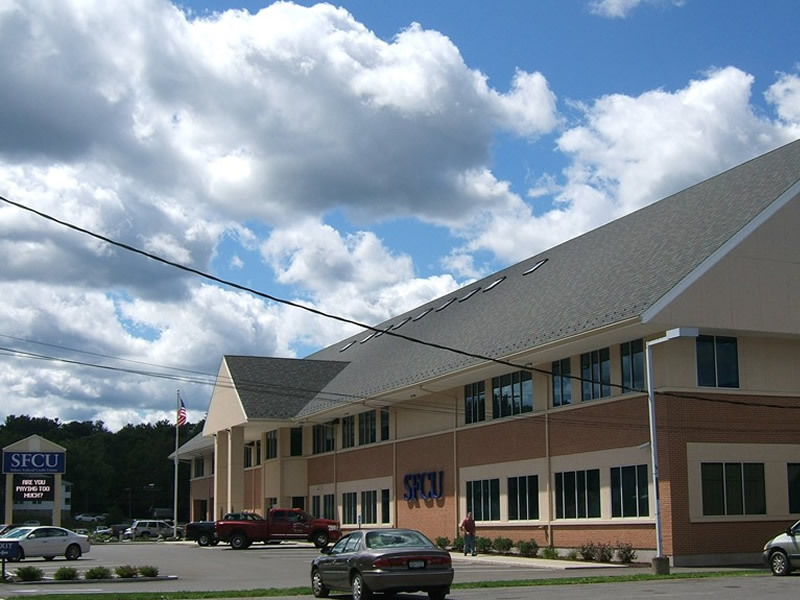 Otsego Chamber President Barbara Ann Heegan cites SFCU’s headquarters as an example of costs, profitability driving energy efficiency. As angels tread, beware of devils in the details. Everyone is enthusiastic about renewables. At issue is: How soon can renewables do it all, serving a growing, thriving economy of offices, manufacturing, retail and transportation? There are two warring camps – so far peacefully so – fully armed with rhetoric, different world views and conflicting strategies. Two recent cases in point underscore the divergence. One, Otsego 2000 a couple of weeks ago filed suit in the D.C. Circuit Court of Appeals in Dominion Transmission’s expansion of the New Market generating station in Herkimer County, 10 miles north of Cherry Valley. It should be a point of pride that a small local environmental group has the brains and clout to enter the national stage. Still, you can see how FERC decision’s would streamline fossil fuel development; and how a ruling in Otsego 2000’s favor (six attorney general and the Sierra Club quickly filed amicus briefs) would slow fossil-fuel expansion to a crawl. centers – like Walmart’s in Sharon Springs – ever-more-necessary so online retailers can deliver products to customers. Typically, such centers employ several hundred workers each. Nationally, Amazon alone employs substantially more than 100,000 people in their facilities.When the consultants visited the 140-acre prospective distribution center site just off I-88 in Schenevus a couple of weeks ago, the first questions was, how much access is there to natural gas? None, Otsego Now President Jody Zakrevsky had to tell them. The consultants liked the site, he said, but it wasn’t what the client had in mind for natural gas. However, they told Zakrevsky, as sites close to Interstates are filled, lack of natural gas may not always by an obstacle – perhaps a decade from now. So the two camps are 1) all renewables, which is desirable but not achievable for decades, and 2) a renewable and fossil-fuel mix until the nation and world transitions to something else. 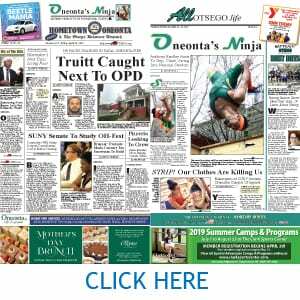 The good news is that Otsego County is so small that even the most ambitious plans – to serve existing institutions (colleges, hospitals and some businesses), develop Oneonta’s D&H yards, Schenevus’ plus a couple of additional distribution centers, and the ability to react to opportunities as they arise – will have a less-than negligible impact on a national and international energy challenge. Blessedly, we’re simply too small. That challenge requires a massive undertaking, a new Manhattan Project, if you will, to rethink renewables, nuclear and fossil fuels. There are novel ideas, such as scrubbing carbon from the atmosphere, an option some scientists are promoting, etc., etc. It’s likely the solution to global warming has not even been contemplated yet. Meanwhile, Otsego County does need a plan, and the chamber’s idea of “an energy center of excellence” resonates. 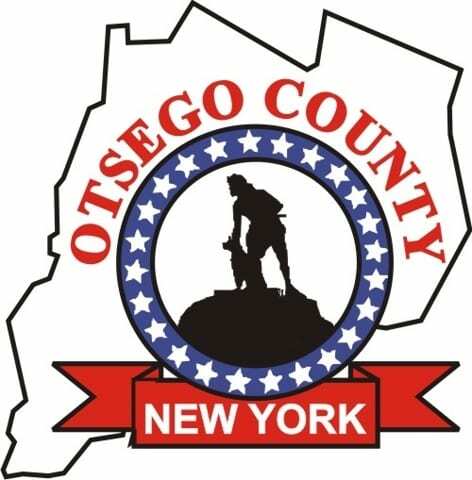 Meanwhile, the Otsego County Board of Representatives is seeking a plan, too. The initial working group, put together by county Rep. Meg Kennedy, R-Mount Vision, tilts heavily toward environmental groups, with representation from Otsego 2000, OCCA and the Land Trust. The full task force is to be announced soon and that, Kennedy assures, will reflect broader perspectives. That’s key. The task force must contain open minds, or nothing will happen. No ideologues need apply. Can we accomplish that? It remains to be seen, but with the Kennedy initiative and the chamber summit, it will become clear pretty early in the new year.